China is a country of picturesque landscapes. The Great wall and the Forbidden City makes it a place those who love to travel would put it at the top of their list of places to visit. One young lady has taken this a step further. 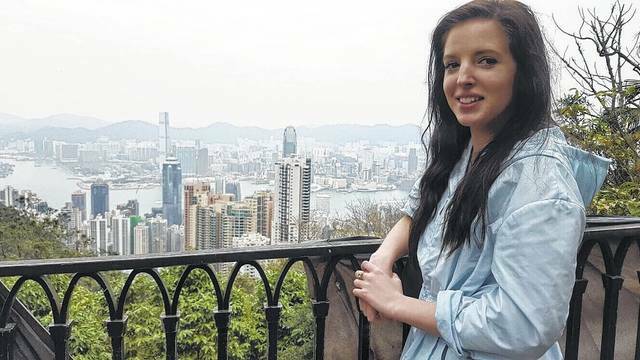 She loves to travel and has been to China, and is returning to live there now. Mikelle Moon, graduated from Shawnee State in May of 2017 in the teacher education program, however, this was not the end of a journey and the beginning of her adult life. Moon, unlike other Teacher Education graduates, started her journey when she did her student-teaching winter semester. 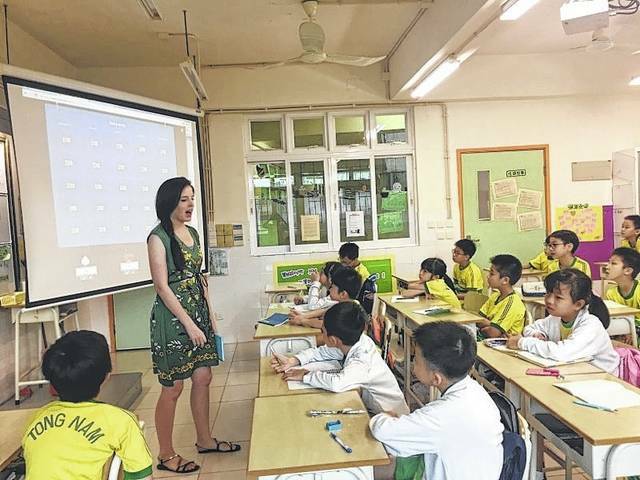 Moon, did her student teaching in Macau, China. 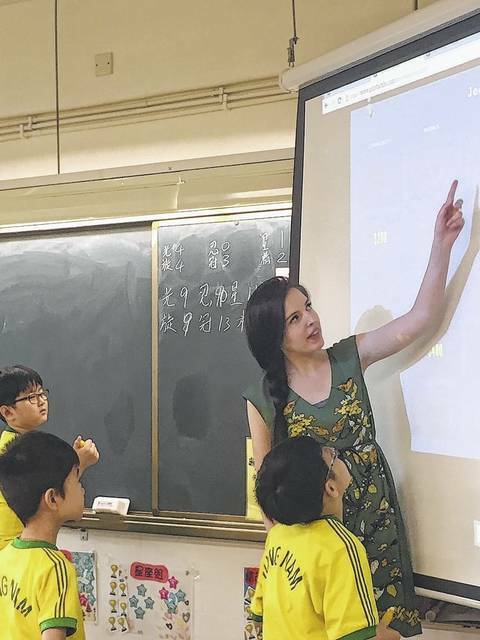 And, because of this, she is preparing to return to China to officially be a teacher in the exact same school where she had earlier completed her college education. When asked what made her decide to do her student teaching in China. “I’ve always wanted to travel and I really like to experience other cultures, so this was a good way to do that,” Moon said. 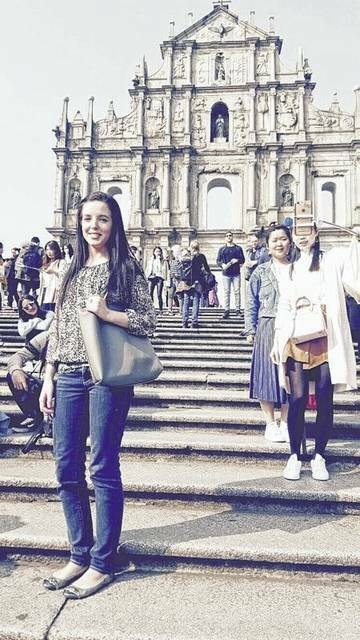 “And, Shawnee State University had a really good program for teaching in China. So I thought I’d just take the opportunity and try it out. I really liked doing it a lot and I’m really glad I had a good way to do something different, like you would not get a chance to do normally. When Moon did her student teaching in China, she was there for four months from February to June. She did not stay in the same classroom over there the entire time, she was placed in multiple classrooms. There, she taught in grades three through eight. She said that it was a good age range. Plus, she taught both Social Studies and English. It was a little difficult to teach Social Studies, because you are teaching to students who all do not speak English and then, you are teaching Social Studies. During her time she had two cooperating teachers, one was for English and the other was for Social Studies. Moon had completed her first semester last Fall at Minford Middle School in both the sixth and eighth grade teaching social studies and English. She then did not start the second semester of student teaching in January like all Shawnee State student teachers, because they were on break during that time so they had Chinese New Year. And they wanted me to come in when school started back again. I couldn’t have done my student teaching while they were on Chinese New Year break. The length of the school day in China, Moon said that they start at 8:00am and go until 5pm, but they have a two hour lunch break. She said that usually during that lunch break, they take a nap like a universal nap. Moon said that they will eat their lunch and then the younger kids will go and sleep and the older kids would have that time to just do whatever they want and that they will walk around the city and just hang out. “That’s nice, but at the same time, you get out super late. It is a good thing and a bad thing.” She also said that they do kind of have year-round school because they do not have a three month summer break, they just have a month. They do, however, have a lot of different breaks during the school year. 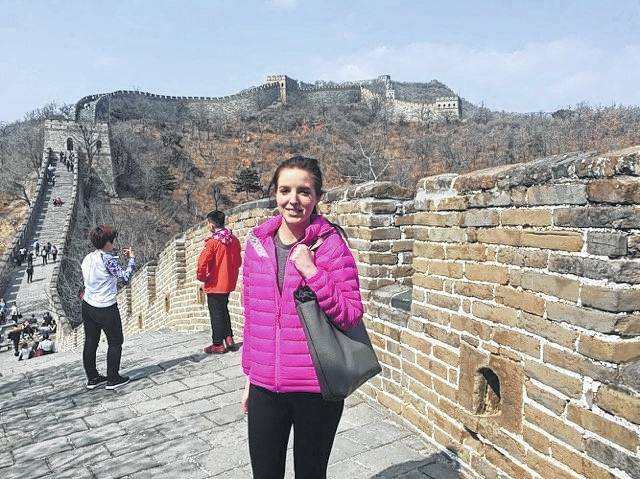 As for comparing what Moon did at Minford Middle School and then what she did in China, she said that the lessons were a lot different. “I had a lot of freedom in what I wanted to teach, they do not have a strict curriculum to follow like here in Ohio. You can basically do whatever you want, by being as creative as you want, which was super nice. I really got free range on my lessons. The planning was a lot different, I wrote my lessons in English and did a lesson plan for each lesson I taught and then I would send them in to my teacher back here at Shawnee State.” Due to the fact that her teacher here could not come to China to observe her, she said her cooperating teachers in China would do a lot of evaluations, they would observe her and then write down feedback and questions and then they would send them in to her teacher at Shawnee. “I definitely enjoyed doing this,” said Moon, which shows, as she is definitely going back. She has just received a message from her principal in China, that her work permit came in and she can go back at any time now. She had waiting for this, because she said it was a really long process. She didn’t know for sure when it would finally come in, but she’s very glad it has. Moon will be teaching different grades just like when she did her student teaching, but she says they are going to have her teach the lower grades, in the range of third grade on down. This too, will be nice and new for her also. She will as a teacher this time, be teaching English, not Social Studies. Opportunities to learn about new cultures and travel clear across the world, do no come around easily, and Moon is getting to start on the opportunity of a lifetime.